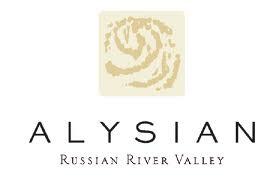 Alysian is a small boutique producer headed up by veteran California Pinot Noir producer Gary Farrell. After selling his very successful "Gary Farrell" label in 2004, he decided to return to producing small lot Pinot Noir and Chardonnay from the Russian River Valley under the "Alysian" label. The "Russian River Selection" is a carefully crafted blend from multiple vineyard properties and is designed by Gary to express a complexity and depth that my not always be found in the single vineyard sourced wines. Gathering multiple clones and grapes from several micro-climates and geographical zones throughout the Russian River Valley lends itself to finding a true expression of the appellation. On the nose I get aromas of red currant, raspberry, black cherry, baking spices, coco powder, and mineral. There's and exotic spiciness and minerality and perhaps a touch of sandalwood that accompanies the fruit characteristics.